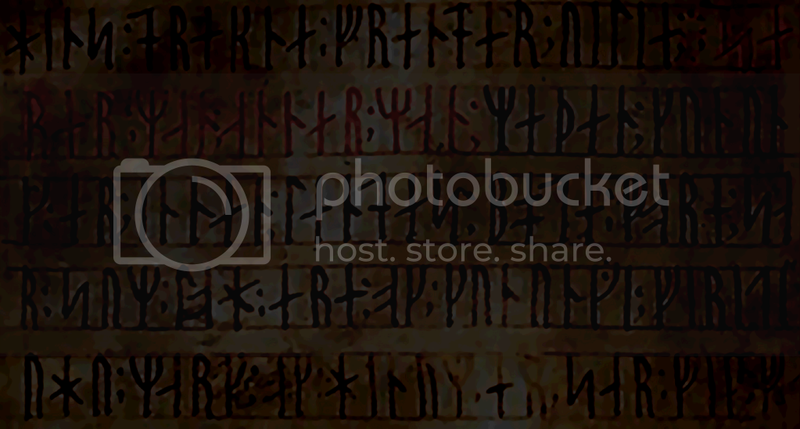 Welcome to the Old Norse Tongue Forum. Our aim is to revive, restore and reconstruct the Old Norse Tongue as a functioning Modern Language. Here's your first port of call on our journey to this ends. In this topic you will greet your fellow forum users, in whichever language you choose, so that you can immediately become part of our community. To start it all off. I'm Jørundr Krákrinn (or Joe if you're being boring) and I'm a moderator. "Hef" is an older form to "Hefi". Just as "Ves heill" is an older form to "Ver heill"
So, whilst you are completely correct, Ásleikr! "Ek hef" is Old Norse indeed! And nobody can dispute that... BUT, in terms of this project I would encourage the later forms, such as "Ver heill" and "Ek hefi". But in the interests of our expanding knowledge, we must be aware of older forms and regional variations, in order to fully understand all Old Norse texts! And I do believe "An Introduction to Old Norse" by E.V.Gordon does use "hef". But that book, however useful, is a bit dated unfortunately. Zoëga's dictionary uses "hefi", as does the amusing online course Old Norse for Beginners (http://notendur.hi.is/haukurth/norse/) and both OLD NORSE LANGUAGE (http://hem.passagen.se/peter9/gram/) and the book "A New Introduction to Old Norse" by Michael Barnes recognises hef as an older form, and hefi as the most common. And yes, you were right about "bekk" as it is both the accusative AND the dative form of "bekkr". But Icelandic words might be okay in certain situations... providing you can at least change "Æ" to "Œ" and "UR" to "R" when it's appropriate... and "Ö" to "Ǫ" if technology allows. But we openly welcome you to our project. You seem highly knowledgable in Old Norse and I'm sure capable of contributing some great ideas to new coinages, phrases and expressions! Heill, vinr! Nýta mynd "hjálp" vilja ek ekki... Har kann vera mismunr milli íslenzku ok norrœnu ! Hví fyr eigi nýta þan ? Well... if you feel more comfortable in Norwegian Norse then I won't stop you. :P But I hope you won't be disappointed if this project is predominantly Icelandic Norse. Once the Icelandic standard is established, we can look into other dialects... East Norse for example, older forms of things... even perhaps Orkney and Shetland Norn. We just need to get a lot of work done to get this project fully OFF the ground! And another thing, you may want to post in English in this part of the forum... or perhaps better, to put in your own English translation. Everyone here is still learning and I don't want them to feel left out at not being able to understand half of our conversation. XD Þakka, Ásleikr. Já, þat skil ek... En ein réttmynd kann gerask með nǫkkurar myndar norrœnu. Jafn-vel með austnorrœnu... Ok svá kǫnnum vit skrifa "bjarg" ok "sum" í einni setning. "Hví for ei" ? Um vit viljum at norrœna sé eigi íslenzka, eigi norðska, eigi danska ok eigi sœnska, svá verðr sú vera ellar gǫmul norrœna, ellar sam-norrœna. Annat er sú ekki vár mál, skilir þú ? Harmanliga vilja ek gjarna skrifa at eins á norrœnu... Um er þat mǫguligt... Auðvíst vil ek setja þat á ensku, um nǫkkurr skilir ekki... En nú allar skilja. Another reason is that I didn't want to have to go againt most easily available books on learning Old Norse, because that's what most people are going to be studying from. The Zoëga dictionary, Cleasby and Vigfusson, E.V. Gordon's Introduction, and Michael Barnes NEW Introduction. They all use standardised Norse to make it simple for the Norse scholar. Of course the world of Norse literature is going to be full of different forms and shapes and colours of language. That's great, but we should just keep things simple for the moment. Well, some people on this forum possibly can't speak any Old Norse at all, but with our help they can get guidance in books to read, websites to visit and such. So to be fair on them we could have these discussions in the Old Norse Only section of the forum. En kǫnnum vit gera várar bœkr ! Ok skal þat vera dælri fyr alla ! And whilst you might not like English, it is the common tongue of most people in Europe, so for that reason it has to be the language used for our projects needs. Also, I should explain that this group is a community, an online Norse village, which is why we should all speak the same dialect and period of Norse, (the Norse standard) but the point I'm making is, you don't want to alienate yourself from the other members. Put it this way, "Je n'aime pas le francais, mais je parle si je doit." Ek tala ekki ensku... Ek nýti Google-trad. Well that explains everything. There's no problem with that, but perhaps you could try using google-translate for English. Hail to everybody! I'm Duggan and I am a brazilian pagan interested also in runes and old languages. Some years ago I started my studies on the Old Norse faith (no, I'm not Ásatru) and of course I tripped on the variants of the Old Norse language. I simply got fascinated. I am a Greek polytheist but I do respect and honour my brothers and sisters from the North Lands. Well, that's it for now. Thank you very much for this project, and I hope I can contribute with the little I know. Ásatrú or not, you still follow the Old Way, the paths of our ancestors. And in my eyes, the difference between a figure like Aphrodite and Freyja is merely cultural, they still mean the same thing to us. So I'm sure you will fit in very well here. You are very welcome in our project, and I thank you for your support. Together we can help bring this language back from the dead! As Sveinn said, welcome to the forum! I'm sure you will fit in, we are all from different backgrounds here! Have fun here and it's great you are so open minded! The first post tells that a newbie can use any language in salutation, so let it be Latin. I have longed for the Old Norse for many years, but only recently I have plucked up my courage to take it up seriously. Now I’m working through Chapman’s Old Icelandic, but sometimes there arise questions that I can’t resolve on my own. I hope I’ll find help on this forum. About me: I come from Russia, languages are my hobby. In particular, I’ve devoted a few years to Latin; these studies have trained me in grammatical and philological rigour when a dead language is concerned. Thank you for joining. I hope we can be of help to you, and I also hope you can also help add to the project in return. The facebook group has started to become more active. Are you a member on there? I don’t have a facebook account. Could you give me the link to the group? I’ve googled ‘Old Norse Tongue’ so far. Hey there. My name is John. Probably I am unique here, because I'm from Belarus, which have almost nothing in common with Norse culture. And maybe I am youngest here - I'm 17. Thanks for joining us! Questions are welcomed here. Good luck! I am living in Dublin at the moment and it quite surprises me how much of a lack of interest there is in Scandinavian history considering that Dublin is a Viking Settlement -_- So now I run a study group over here in Ireland (The ONLY study group). I have been reading the runes for both divination and Utiseta for close to 14 years now. I love them. I get all my information from the Icelandic Sagas and my goal would be to write my own translation of it in the way they used alliteration and partial rhyme in the untranslated versions. I don't know how to read them yet by myself but i joined this forum to help bring back this beautiful language back to life. I have been studying languages since i was a kid (mostly dead languages or fantasy languages). I am looking forward to traveling to the different countries next year to go on a "study quest" specifically for language and rune sites. I would love to learn Old Norse and would love to start studying it in the study group out here once I have enough information I was so excited when I found this forum. I was very surprised also that this forum did not show up on Google search (where I do a lot of my networking with Scandinavian history in general) Have you posted it there yet?? i think it would get A LOT more traffic I will check back with this forum frequently! Thanks for starting something like this! If you would like, I would love to help promote it as the more people who realize the history and beauty of this language, the better! My name is Troels, which I've read should come from the old norse word/name Thorgisl, which again should mean "arrow (or spear) of Thor"
I don't expect to contribute in great detail, but will ask (semi-stupid) questions, now and again! So, perhaps I should have written here long ago when I joined, but I failed to because I am beyond shy. A dear friend was kind enough to help me with my name and in turn my nickname, but the two I go by on a daily basis are Hillary and Ealair. As I said, I am shy. I say little and read lots. I speak English fluently and Spanish (Spain), and Portuguese (Brazil) passably. I am hiding over in the US and sharing what I learn with my friends here who have also given me some lessons to study so I can understand them. Frankly, I'm surprised I wrote anything at all...quite shy. Góða nátt (I said I *speak* nothing...it doesn't mean I didn't pay attention when *you* spoke Sveinn). My birth name is Emilie-Blu Ormkriger Evermind Spark but please call me Blu for short. I joined this site to learn Old Norse because of my fascination for Vikings. I am a follower of the old custom ( none of this neo-pagan stuff). I am Norwegian, I live in the English countryside, Aswell as my family being Norwegian I am also of the Morrison clan ( but sadly both my family members bearing that name recently passed away). I am glad to be here and I cannot wait to learn more and more. Hello everyone. I'm a new member! I'm Norwegian, and nordic culture and history has interested me ever since I found out how to google "Norsk historie"! My name is Herman Håkestad. I understand well Danish, Swedish and I can make out Icelandic fairly well, though I've never seen our heard Faroese in practise. I absolutely love the idea of reviving the norse language, and I will do anything that I can to do so. It is the mother of the nordic languages, after all. Norden er stolt og stærk! Hail! I am Eir, also known as Candace. I have been pagan for many years (about 13 years) but decided to start learning and dedicating myself as Ásatru within the past year or so. That being said, I have an undeniable urge to learn the language of my ancestors to better understand them and the Gods. I have a love of language and really look forward to learning to speak the Norse tongue. Hello, I'm English and interested in medieval Germanic languages and literature. I have studied Old English for a while and now wish to also study Old Norse. Because I live in East Asia I have access to less resources than I would have in my own country, but luckily I did bring a copy of A New Introduction to Old Norse with me so I have some material to work with. I'm hoping that on this forum I can get advice on studying Old Norse. I am part of a large reconstructionist movement, I am a practitioner of the old ways and a dead language enthusiast. How may i be of service to you all? I have had a bit of trouble with Old Norse But i have the basics. May the Gods smile upon this movement..